We hope this FAQ answers your questions or concerns about our service and Company. If you don’t find an answer, please contact us any time. Please click on the Category to expand the list of questions. We only install Linux and FreeBSD. We do not support Windows installations. Do you give support in Spanish? Yes. All our staff is fluent in Spanish and English. Do you accept a client from (insert) country? xotHost.com welcomes everybody, regardless of nationality. You can pay via PayPal or with Bitcoin. PayPal accepts payments either from your own account or with your credit card. Bitcoin Payments are made through Bitpay. How can I renew my service? We will remind you 2 days before it is due via email. We will send you the correct link for renewal of your specific service. Do I have full SSH access to the VPS? Does the VPS have full root access? You should regularly update the VPS to keep your system up to date with the latest security patches. You can install any software you wish as long the software itself and its uses are legal. No. 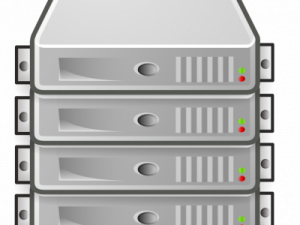 All of xotHost.com’s VPS’s are installed on bare-metal servers. What are the specifications of your servers? Are you providing Xen-based VPS, or OpenVZ-based hosting ? All our VPS’s use the KVM hypervisor. Can I reset the VPS by control panel? Is it possible to install my own OS? Yes. If you provide us to the link of your ISO, we can set it as the boot medium, and from there you can install it. Will you upgrade my VPS? Yes. We can do it any time. A hard reset from the control panel is required for the change to take effect. Will you manage the VPS for me? We only provide unmanaged services. We can point you on the right direction if time permits. No. It uses too many CPU and network resources.